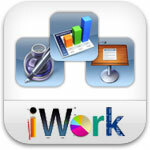 iWorks Suite – Keynote, Pages and Numbers are a wonderful set of programs, and I got them free with my iPad (I don’t know how long that offer will last). I now use Pages for most of my wordprocessing on my iPad, and typing in the minimalist interface with the responsive on-screen keyboard is almost as efficient as using a laptop or desktop. The interface for Keynote is also surprisingly intuitive, considering my previous experience with Android productivity tools. I have yet to try Numbers yet, but a quick play suggests that it is a useful little spreadsheet application. Goodnotes – I was looking for a program that would allow me to annotate PDFs using a stylus (I just bought a Kensington stylus that really helps with hand writing on the screen) as well as text boxes (sometimes a weird drawing is necessary!) and Goodnotes came highly recommended. While it costs money (shock horror for an Android user…), it is only £2.99 and it really is a neat little package, allowing a wide array of neat and intelligent annotations. I’m reviewing a grant proposal right now, which means I am sat using it for a quite a while and the experience isn’t nearly as painful as it could be! I also review a lot of papers which come in PDF format, and can annotate student work this way as well. Evernote – I am desperately trying to get into the swing of Evernote because I feel like it could make a lot of difference to the way that I organise myself. I make a lot of notes in a lot of places and rarely keep track of all the bits of paper, usually scraps of old paper that get thrown away before the to do list is completed. Now, rather than taking a notebook with me to a meeting I will just use Evernote on my iPad and start a new Note with each session. Part of the Big Plan of going paperless. 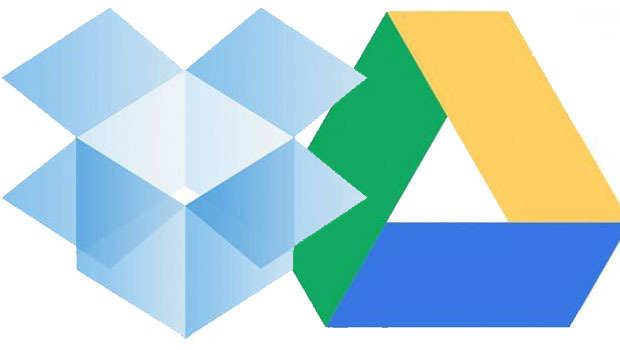 Google Drive and Dropbox – The iPad comes with 5GB of iCloud storage, but I have many GBs of files already on Google Drive and Dropbox that I easily linked up to the iPad. Dropbox in particular works very well. I use these for taking files with me when I move around, but also for making sure that I can share content with others. These are a particular bonus for collaborating on large manuscripts that are too big for email, and for backing up important files. Aurasma – A different sort of program, this one. Aurasma is an augmented reality app that allows you to display media in response to someone hovering their device over a “trigger” image. I’ve included it here because (i) it’s neat, and (ii) there are some really fascinating pedagogical applications for it. I’m busy exploring them now, so they’re all top secret, but I’ll blog about some ideas later. I’m going to be trying a few more over the next couple of weeks (a few journal apps, for example) and I’ll blog again about how I go on. Thanks you for your post, hello everyone! i need a real help to decide on which tab to take for college? am a second year medical student and looking to take a tab for the coming academic year in October. i don’t know which to choose. i have seen some videos on note-taking with iPad and it seems that iPad is good for note taking. however i still liked the Samsung galaxy 10.1 especially the fact that android market is full of app that u can install easily and most for free. the bad thing that even if i am going to take Samsung tab i don’t know if i should take 10.1 screen which is big and good for reading and studying or the 8.9 which is more portable or even wait to see if the 7.7 would be a good option. the thing is that i have never used an iPad or any other tablet so i don’t know what things to consider when choosing one. but mostly i am thinking of note taking, reading books and PDFs, portability especially in future win rotations and APPs.